"Baahubali the Beginning" has grossed Rs 454 crore at worldwide box office on its third Wednesday. "Baahubali the Beginning" (Bahubali) starring Prabhas, Rana Daggubati, Tamannaah Bhatia and Anushka Shetty in leads, has crossed the mark of Rs 450 crore at the worldwide box office on its third Wednesday. On its third Monday, the period film became the third all-time highest grosser Indian movie, beating the previous record of Shah Rukh Khan's "Chennai Express". Trade experts predicted that the S S Rajamouli-directed epic extravaganza would continue to do well and become the second all-time highest-grosser Indian movie, pushing down Aamir Khan's "Dhoom 3" to the third spot. But Salman Khan's "Bajrangi Bhaijaan", which crossed the mark of Rs 450 crore on Tuesday, has pushed "Baahubali the Beginning" down to the fourth spot. However, "Baahubali" is a two-part movie made with a whopping budget of Rs 250 crore. The film has been simultaneously made in Telugu and Tamil and dubbed in Malayalam and Hindi. 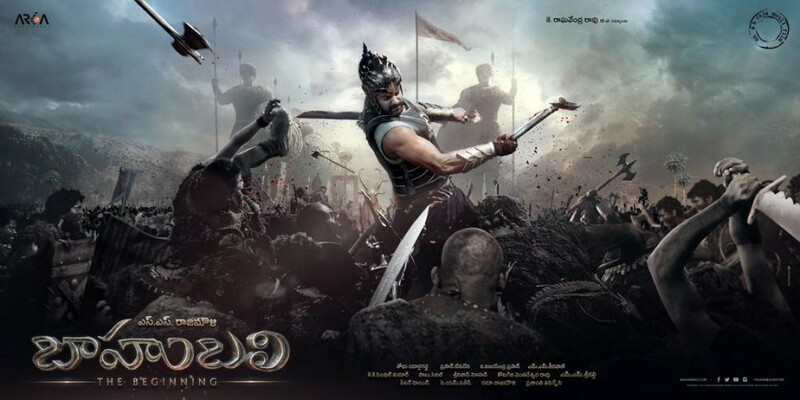 Its first part, title "Baahubali the Beginning", fetched around 135 crore from the sale of its distributions rights. The film has collected around Rs 250 crore for its distributors, who are on cloud nine.